Open Meeting – Monday 8th of September. Meet at 8pm at the Liberal club. The meeting will last 1 to 2 hours. All are welcome. Autumn Cuckoos’s nest grant application. Repair of Christmas lights and delivery to Kirklees for testing. Ideas for 2014 Christmas lights. 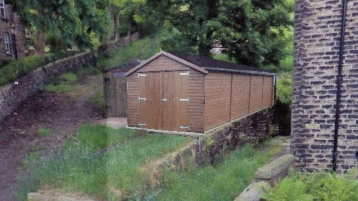 Progress on the new MCA noticeboards on Platform 3 and at Standedge tunnel and the Park. Progress on the replacement of the MCA storage compound.